An alternative rental location for the newest airport in BKK, (Suvarnabhumi Airport), is Don Mueang (formerly spelt “Don Muang”). Don Mueang Airport (DMK) was once the international hub for all air travel in and out of Thailand, but in 2007 became a domestic hub instead. However, Don Mueang still remains a viable place to pick up a new and reliable rental vehicle. To find the pick-up point, just exit the baggage claim area and head towards the car hire stands, and our representatives will be waiting, keys in hand. CarHirePhuket.com’s Don Mueang location offers some of the best rentals at the airport, and always has a wide selection of rental cars to choose from, even when Suvarnabhumi Airport is at its busiest. Start searching now to find hire deals at Don Mueang — great car rental rates are just a click away! Don Muaeng Airport (DMK) is located just minutes from downtown Bangkok, and has been in operation since 1924, with a brief closure in 2006 when the airport transitioned from the country’s largest international airport to the largest domestic and charter. 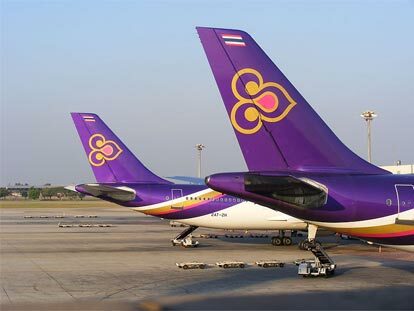 Today, Don Muang Airport offers flights provided by Nok Air, Orient Thai Airlines, and Solar Air with flights to Buri Ram, Chiang Mai, Hat Yai, Nakhon Si Thammarat, Nakhon Phanom, Phitsanulok, Phuket, Sakhon Nakhon, Surat Thani, Trang, Ubon Ratchathani, Udon Thani and other domestic locations. Navigating away from the airport towards Bangkok in your new hire is easy and usually traffic free. Just exit the airport and take the Sirat Expressway for that short ride into town. A Car Hire Don Muang Airport rental gives you the freedom to explore Bangkok and the rest of the country in style and comfort. The Grand Palace is a magnificent complex of architectural wonder situated on the bank of the Chao Phraya River in the heart of Bangkok. It has served as the official palace for Thai royalty from the 18th century onwards, and since King Rama 1 ruled the region. 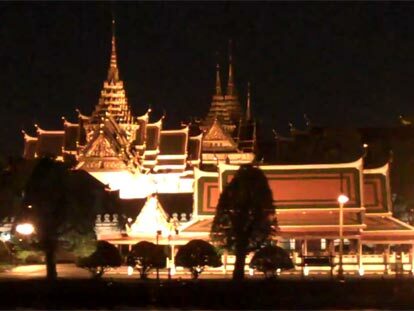 Featured on the grounds is the Wat Phra Kaew, the temple that houses the Emerald Buddha. The Thailand Cultural Centre opened in 1987 with sponsorship by the Government of Japan, and since has been an expansive site of daily cultural shows and exhibits covering the history and lifestyles of the Kingdom. The center is located on Ratchadaphisek Road, near the intersection with Tiam Ruammitr Road. The National Gallery near Sanam Luang is a must visit for anyone interested in Thai art, and has exhibits visiting from other countries as well. Those interested in world religions will find artwork dating back to the golden age in Theravada Buddhism, and the National Gallery also showcases the work of the country’s most contemporary artists as well. The Ratchaprasong Shopping District offers some of the newest and nicest malls in the world, such as Central World Plaza, MBK, Siam Square, Discovery Place and more. All major brands for every variety of products are represented in these expansive monuments to modern day shopping, and cavernous food courts provide the hungry shopper with faire ranging from McDonalds to the Outback Steak House to local fish and noodles.